Tri and I realized pretty quickly that we would need a car to get around Kathmandu and drive to work. 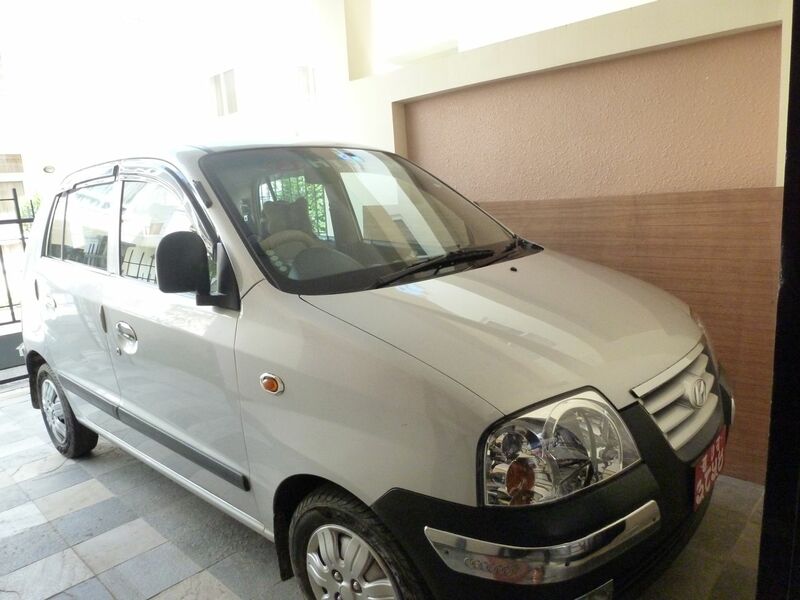 After looking in a few car dealerships, we decided on a 2009 Hyundai Santro. Back in the US, we had a pretty bulky sedan that we liked alright, but I’m happy to have a smaller car this time around. Cars are expensive in Nepal because the government considers them “luxury items” and accordingly taxes them at at 200-300%. Because this one is used, however, it was a bit cheaper, and we’re hoping to get most of the money back when we sell it. The stick shift driving will take some getting used to, but Tri remembers a bit from when he started driving in Nepal six years ago, and I’m excited to finally learn. This entry was posted in Cars by nepali jiwan. Bookmark the permalink. It’s amazing how many cars we’ve seen in Nepal, expensive ones too. (I have no idea how people afford hummers here). The one we bought is about the cheapest car we could get with an AC that will still be reliable. We thought that we might need to buy a car, so we made sure we had enough savings before coming over. You could definitely spend this much on a new, reasonably priced car in the US, but it’s more than I would probably spend. The Chinese voice sounds like a thirdparty remote locking/unlocking system. You should be able to clip the cable connecting its plastic speaker mounted somewhere under the hood.